James teaches in Bentleigh studio. James believes that learning any instrument begins with learning and mastering the basics of their chosen instrument and then developing a consistent and effective practice routine that is fluid and one that evolves according to the students needs. 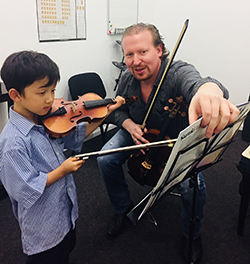 This is reflected in his familiarity with teaching various syllabi including the Suzuki Method and preparing students for both AMEB and ABRSM exams. James has been playing violin professionally since 2001 and has over 15 years of both amateur and professional orchestral experience, including concertmaster for the Geelong Society of Dramatic Arts' (GSODA) production of Hairspray and played first violin for GSODA's production of Phantom Of The Opera. He also played violin for Australian Ballet Conservatoire's performance of Swan Lake, is an active member of The Australasian Orchestra and has been invited to go on tour to China with the Royal Melbourne Philharmonic Orchestra at the end of 2018. James also teaches viola, piano, flute, music theory and musicianship from beginners to advanced. 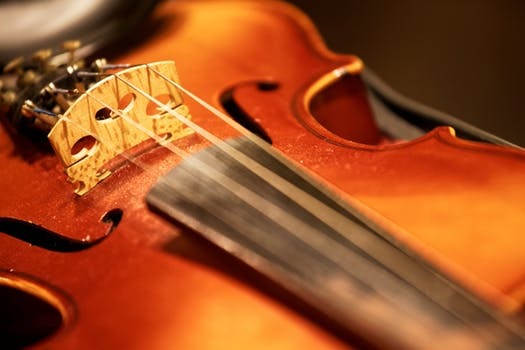 Learn to play Viola with our magnificent teachers.